President Paul Kagame has asked United Nations to ‘closely’ partner with the African Union to ensure stable funding of peace support operations. Kagame, who is the current chairperson of the African Union, said that the continent is the biggest troop contributor but also largest share of peacekeeping missions. In this endeavor, he told the gathering at a UN ‘Action for Peacekeeping’ meeting at the ongoing 73rd United Nations General Assembly that partnering with Africa is key. “The partnership with Africa is central. Our continent is among the biggest troop contributors, but also the host of the largest share of peacekeeping missions. To manage this burden, the United Nations and the African Union must collaborate closely, including by ensuring stable funding for African Union-mandated peace support operations,” he said. Out of the 10 top troop contributing countries to UN Peacekeeping missions, 5 are from Africa (25,989); Ethiopia (8,221), Rwanda (6,203); Egypt (3,060), Burkina Faso (2,933), Senegal (2,820) and Ghana (2,752). There are 96,853 troops deployed in different peacekeeping missions around the world – coming from 127 UN member states. Kagame told the gathering that a need for collaboration with host countries of UN missions is crucial. “The Action for Peacekeeping Initiative is a very timely and comprehensive framework for making peacekeeping fit-for purpose,” Kagame said. 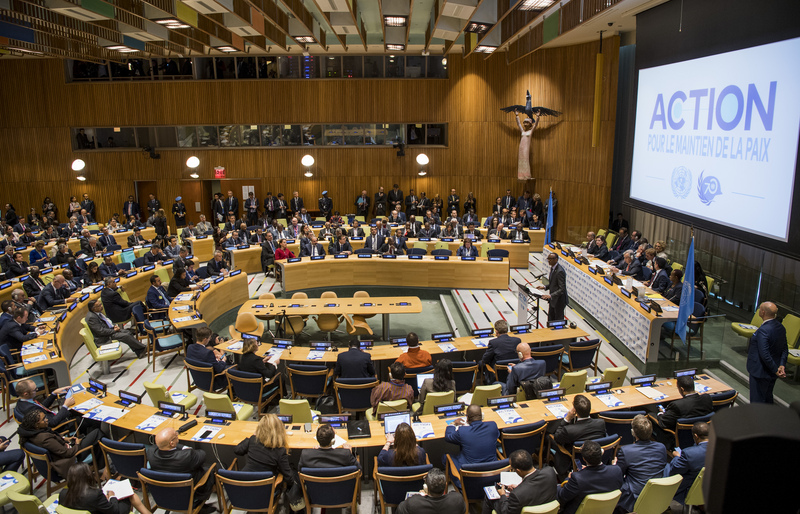 The President paid tribute to United Nations Secretary General António Guterres for cementing an initiative to reform the body’s peace and security agenda. 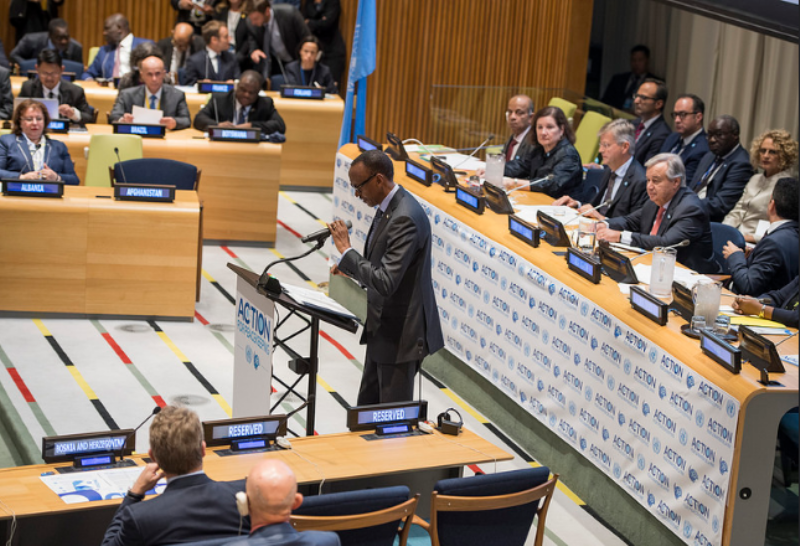 For nearly 70 years, Kagame said, the United Nations has worked to protect civilians and safeguard the transition from war to peace all over the world. The President, however, reminded that a few elements of indiscipline and violation of peacekeeping mandate is a damage that needs to be checked. “The majority of troops have served very honourably, and they deserve our gratitude and respect, even as we uncompromisingly deal with the failures that have resulted in crimes,” he said. A recent investigation conducted by US-based Associated Press news agency indicated that between 2004 and 2016, the United Nations received almost 2,000 allegations of sexual exploitation and abuse against its peacekeepers. Kagame demanded a clear political process to be considered while deploying troops in peacekeeping operations around the world. “Rwanda fully endorses the Declaration of Shared Commitments and looks forward to working together on this basis going forward,” Kagame said.